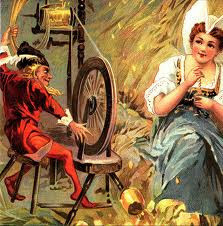 Have you ever read the story of Rumpelstiltskin? You know the one where under threat of death a young woman is forced to seek help to turn something fairly common like straw is into gold. In effect the story makes reference to the practice of alchemy (spinning straw into gold), and this got me wondering, sometimes as finance professionals we can also be alchemists because we can also create value for our stakeholders by turning fairly disparate bits of data into leading edge insights that help them make better decisions. I touched on the idea of Finance as Alchemists in a prior article however I never really went too deeply into what this looks like or how we really go about practicing alchemy. Alchemy is not a new idea, it’s been part of myth and legend where practitioners of the art try to turn less desirable substances into more valuable ones, like turning metals like lead into gold. Alchemists believed that gold was a spiritually perfect metal, while lead was immature and flawed. Similarly in Finance we’ve access to many different data sources, financial and non-financial, not just internally within our organisations but also externally as we go further into this era of big data. We’ve also got access to many interested stakeholders and decision-makers ready and waiting for us to help turn all these raw materials / data, into gold, in effect, leading edge insights that will enable them to create more value. So how can we become Finance Alchemists? When it comes to finding the intersection of value, sustainability and cost/benefit, it’s best not to look at the extremes. When it’s going to be difficult to do sustainably then it is unlikely it is going to be cost effective (e.g. continually reporting the numbers out as opposed to finding time to invest into analysing and modelling them). Likewise what might appear to be of the highest value to decision makers might not actually be all that fun or cost effective to sustainably deliver. So alchemy is really more an art form to blend these ingredients until you find where they meet and produce the best value creation results. So the first hurdle to overcome is to find a problem or an unmet want that’s not being solved as well as it could be. I share how to do this using the stakeholder analysis template (and accompanying practical video) but ultimately you need to begin by coming out from behind your desk and/or get on the phone to connect with stakeholders and listen to their haves & wants. Be careful not to make the classic error of assuming just because you think something would be useful that decision makers would similarly find it valuable. You could avoid putting enormous efforts into creating all the data connections and gathering all the data sources that would form the basis of your analytics by selling the concept of your solution to decision makers beforehand. If they’re willing to support your initiative whether it is to provide you assistance with resources such as staff or funding to deliver better decision support, or even improve controls & compliance, then you’ve probably hit on something of value and you can proceed to develop your solution that closes the have/want gap you’ve discovered. And this is why we bring on guest mentors to our Strength in the Numbers Show, to share with you their stories and hard won lessons, and how they have practically figured out how to perform alchemy on the numbers, create new approaches or improve existing ones to contribute even more value for the decision makers in their organisations. And ultimately they help you learn how to leverage your strengths in the numbers faster so you can have a more fun, rewarding and successful career as a finance professional. So are there any other approaches to finance alchemy you would recommend? Or how do you know you’re combining the right ingredients in the right way to create value?